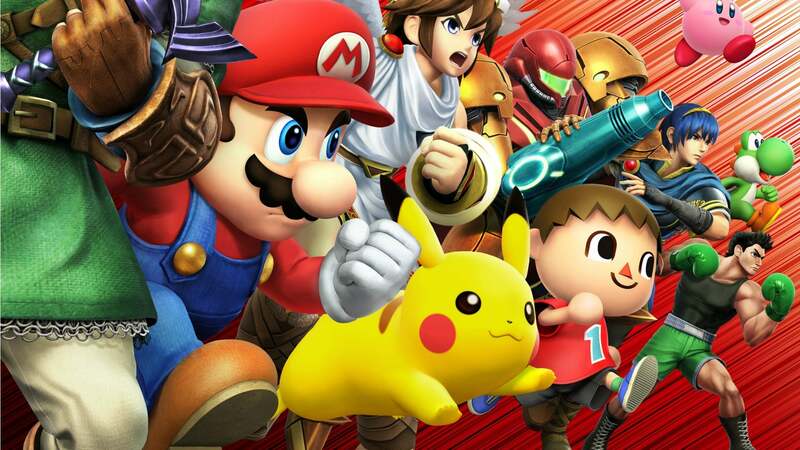 It’s hard to know where to start in tackling Super Smash Bros. for Nintendo 3DS. There are so many facets to the game’s cohesive whole, that the minimalist menu design that you’re initially greeted with almost misrepresents the treasure trove of content waiting to burst out from every pixel. That’s a hallmark of series creator Masahiro Sakurai’s ingenuity, and we’ve certainly come a long way since Dragon King: The Fighting Game – his early prototype that was eventually green-lit to become Super Smash Bros. as we know it today. The Nintendo 64 exclusive was met with such an overwhelmingly positive response in Japan, that the company brought it overseas allowing it to become the fifth best-selling game on the console. Despite such early success continuing with Melee and Brawl, hardware constraints presumably held back any chance of Nintendo’s all-out mascot fighter ever coming to portable. That is, until now. As someone who can admit to being sceptical about how well the series would fare in its transition to Nintendo 3DS, my fears have been utterly trounced. With the handheld leveraging as much extra oomph as it can muster, Super Smash Bros. for Nintendo 3DS stands as the greatest technical achievement on the system to date – mercilessly dethroning Super Mario 3D Land and Kid Icarus Uprising from such podium. There’s some devilish trickery at work here, but while the game’s blistering away at 60 frames per second you can’t help but be swept up in marvelling at the fluidity and flow of the entire experience. Placed in an arena with up to three other fighters looking to prove their worth, there’s no other thrill quite like it. You’ll tumble and fall, hurl items with reckless abandon, and land that lucky hit that sees your opponent soar off the side of the screen. It all continues to revolve around slamming your enemies to increase their damage percentage, launching them greater distances whenever they’re hit. Standard and special attacks will be at your disposal, while fighter-specific Final Smashes – granted by the elusive Smash Ball – look absolutely glorious in stereoscopic 3D. No two matches are ever alike, and whenever you’re finding the competition fairly tame you can either nudge up the CPU difficulty or take the fight online where, more often than not, you’ll fall foul of players that are ridiculously proficient with their favourite fighter. On that note, there are 36 fighters and 27 stages unlocked from the start, a far more substantial amount than the 8 fighters and stages that were initially available in the original. New mix with old, and Nintendo yank on your nostalgia by pitting Mario, Sonic, Mega Man and PAC-MAN together – a rumble that none of us would have ever thought possible many years ago. As always there are secret additions waiting in the wings to be unlocked, amounting to the most comprehensive selection that we’ve ever been able to battle with and across. Each fighter is balanced with military precision, hours of playtesting that have been rewarded by an even playing field – even if you will find that certain characters won’t suit your own style of play. Stages themselves are a particularly potent mix, with classics such as Corneria, Battlefield and Final Destination muddled with those celebrating the newcomers to the roster with Tortimer Island, Wily Castle, Gaur Plain and Boxing Ring served up. With 3DS exclusive stages used to differentiate this from the incoming Wii U version, these carefully thought out battlegrounds are enough to justify the double dip. Assorted modes are as expected, with players dashing into Smash for a quick bout either solo or against friends. Diving into the Games & More menu will let you play Classic, where you bet gold to raise the intensity meter and the level of challenge that you will face from your CPU opponents, and All-Star, in which you will go up against fighters as they were chronologically created in their respective franchises. Stadium dishes up a bunch of mini-games to chase high scores in, whereas Training lets you hone your prowess with any fighter. It is the 3DS exclusive Smash Run that proves a double-edged sword of exhilaration and disappointment. Exhilaration in that it is wonderfully frantic, and disappointment in that you can only play against CPU or locally with friends – rather than taking the fight online. Here, four players are initially placed in an environment with randomly-generated enemies, where besting their foes will reward them with stat-boosting power-ups. You’ll have five minutes to claim as much as you can, after which you will face your three adversaries who were all trying to do the same. Online play will be a huge draw, with players able to choose between battling against friends, those all over the world, or spectate any matches currently in action. Taking on those around the globe will see you choose to fight ‘For Fun’ or ‘For Glory,’ with the latter essentially being tournament-style ranked matches without any items present – additional options letting you choose between four-player, 1-on-1 or team matches. You’ll fight punch bags and CPU fighters while you wait to be matched with any challengers, allowing you to get some last minute practice in. Those with stable Internet connections will be pleased to hear that latency isn’t that troublesome, although we’ll re-evaluate when we’re not being matched against players based in Japan. As has now become a Super Smash Bros. pastime, building your trophy collection will keep you occupied for those that want to hunt every one out. Trophy Rush helps with this by challenging you to destroy falling blocks to claim such coveted prizes, while a shop lets you spend gold or your Play Coins to purchase any on sale. Meanwhile, the Challenges wall returns – again helping to objectify your experience – with Milestones similarly appearing whenever you achieve a significant accomplishment. There’s plenty to busy yourself with, so spend your time wisely! Other quirks are present, whether that be the Photo Mode where you can try to pull off humorous snaps of the fighters in action, or the Sound Test menu that lets you turn your 3DS into a portable music player by letting you blare the game’s jubilant soundtrack into your eardrums even when in Sleep Mode. Similarly wacky is StreetSmash, which is Sakurai’s take on StreetPass support. This sees you exchange character tokens with any other players that you pass, which challenges you to knock your opponents tokens off a top-down stage to earn yourself gold. It’s fun, even if it’s a short-lived thrill. Super Smash Bros. for Nintendo 3DS is an absolute triumph for the handheld, and successfully achieves the dream of being able to play Nintendo’s popular mascot brawler on the go. Made to be enjoyed with others, it’s polished to perfection and as complete a package as anything that has come before – bursting at the seams with content to keep you occupied for hours on end. We’ll see you in the ring.